Supplying carpets, underlay and free gripper sticks. Free delivery as a part of a job. 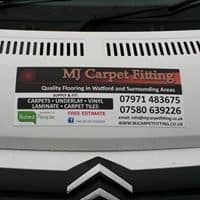 I offer a flexible carpet fitting service; from a single room to complete houses – NO JOB TOO SMALL! Rest assured, I will install your carpet to the highest of standards, yet strive to ensure minimal distruption to your home. Additional services that I offer include free delivery of carpeting materials as a part of a job. Check my prices and portfolio, and here you will find my contact details. You can find out what they think about my works – my customers. If you want to share your opinion, please fill the comment form at the bottom of the page. Martin has just completed a small job for me fixing an issue I had with my carpet. He was very professional and I would recommend him for any carpet needs.